US President Donald Trump has said he wants to improve relations with Russia, because of his understanding that the growing relationship between Moscow and Beijing presents a threat to the geopolitical status of the US, Professor of Economic History Giulio Sapelli told Sputnik Italia. President Trump has spoken of his desire to work with Russia to regulate the situation in the Middle East, which is also a sign of his lack of faith in co-operation with the EU to find a constructive solution, Giulio Sapelli, Professor of Economic History at Milan University told Sputnik Italia. "President Putin and Trump have a common interest in stability in the Middle East, as well as limiting China's territorial claims in the Pacific Ocean. The hand of co-operation offered by Trump to Putin signifies American understanding that further rapprochement between Moscow and Beijing would be a tragedy for the US. In addition, Trump doesn't believe in the ability of Europe to reach political and economic unification, and is ready to recognize Russia's key role in regulating the situation in the Middle East," Sapelli said. At his annual end-of-year press conference, Russian President Vladimir Putin paid tribute to Russian-Chinese relations, and their development over the past two decades. "Relations between our countries have gone far beyond the one [Presidents] Boris Yeltsin and Jiang Zemin agreed on 20 years ago," Putin said. However, Sapelli predicts that Beijing will present opposition to a warming of relations between Washington and Moscow, with the assistance of the UK. In November the UK Chancellor Philip Hammond described the relationship between London and Beijing as "more important than ever," in the aftermath of the country's decision to exit from the EU. "In my view, the Cold War was over a long time ago. In recent years, there has been no serious threat of nuclear war. 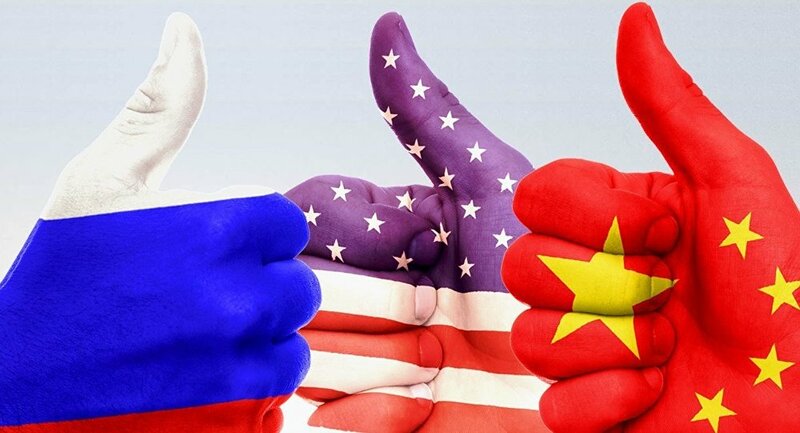 Soon the following situation will develop: the US will want to develop relations with Russia, but China will obstruct this by all means, with the assistance of the UK. China is opening its Silk Road bank in London, which offers the prospect of developing bilateral relations. The UK is betting big on these relations after Brexit," Sapelli said. "At the same time Prime Minister May has said that developing relations with the US is a priority. It seems that many are counting on the US to return to superpower status after the inauguration of Trump. However, here we must remember that Russia is a Eurasian country, and this gives it special weight for America. Russian returned to the Middle East thanks to the ideas of Yevgeny Primakov, (Russian Foreign Minister 1996-1998, Prime Minister 1998-1999), which Putin has subsequently adopted and now Russia has its own role in global politics, even if the leading geopolitical role continues to belong to the US." Last week Trump suggested he is open to lifting sanctions against Russia in return for co-operation in areas like fighting terrorism and nuclear disarmament. "They have sanctions on Russia — let’s see if we can make some good deals with Russia," he said in an interview with The Times of London. Sapelli said that while Russia can take some encouragement from Trump's statement, it may be some time before he is able to make good on his intention. "I believe that the sanctions should be abolished, that is in the interests of all countries. However, I would not yet trust Trump's promises on sanctions because the establishment still does not accept him as President, and he will have to establish himself in this position, which can take a long time." Italian Prime Minister Paolo Gentiloni has also expressed his desire to mend relations with Moscow, and told his end-of-year press conference that Rome intends to use its G7 presidency this year to "improve various aspects of relations with Russia." "With this in mind, I think that at the (G7) summit in Taormina in May, as noted recently by Italian Foreign Minister Angelino Alfano, Italy will offer Russia a return to the G8, because otherwise it does not make sense to talk about peace and stability in the world. That is impossible without Russia, and the mistake of Obama and EU leaders was to give too much weight to the claims Eastern European countries such as Poland have made about Russia. They themselves haven't mastered their new role in the world following the collapse of the Soviet Union," Sapelli said.